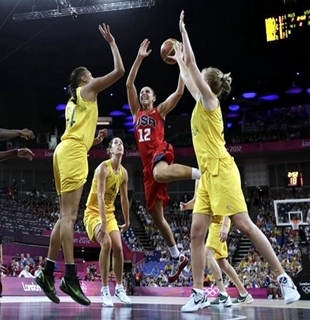 USA got a huge scare before finding a way to escape with a come-from-behind 86-73 win over Australia to advance to the gold-medal match of the women’s basketball tournament of the 2012 London Olympics. USA, who hasn’t tasted defeat in their last 38 Olympic games, looked headed to a huge upset loss as the Opals took control of the game and were ahead before USA unleashed a momentum-changing rally. The Americans managed to pull within a point, 55-54, halfway through the third period and Lindsay Whalen took over, scoring six-straight points that proved to be a huge turning point as USA started to pull away en route the thrilling win. Tina Charles had a terrific night, tallying another double-double with 14 points and ten rebounds, Diana Taurasi also added 14 points, while starting point guard Sue Bird added 13 points for USA, who will face either France or Russia in the gold-medal match. 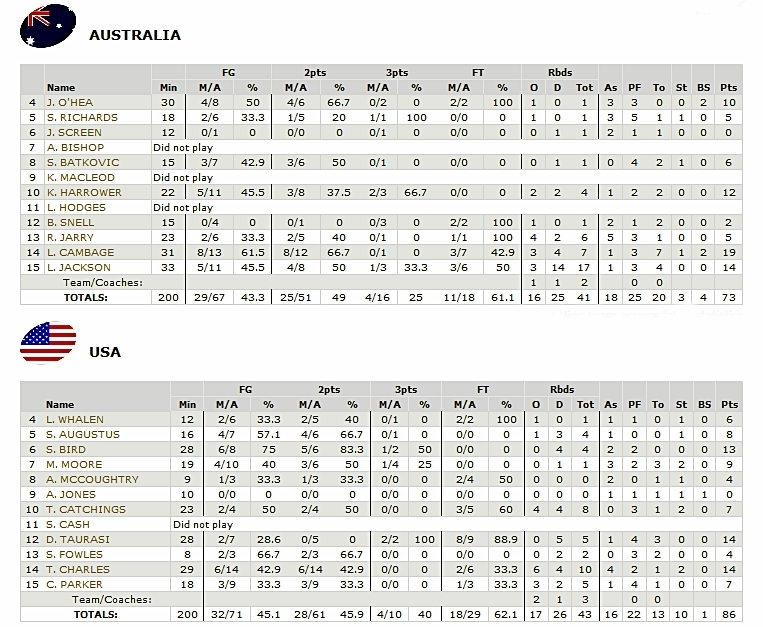 Lauren Jackson had her best game of the tournament, finishing with 14 points and 17 rebounds, while Liz Cambage showed flashes of brilliance, scoring 19 points, but went scoreless for the entire second half of the game. With the defeat, Australian Opals, the silver-medalists in the past three Olympic, will have to settle for the bronze medal match against the loser of Russia-France semis showdown.